Lunch Break - At What Age To You Introduce Your Music To Your Kids? Lunch Break – At What Age To You Introduce Your Music To Your Kids? 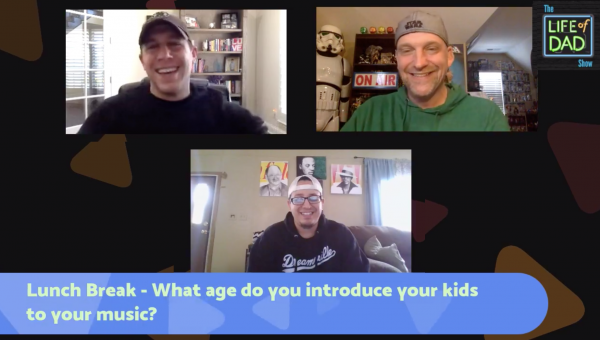 Lunch Break – What age can your kids listen to your music? At what age do you let your kids listen to the music you listen to? It could be Rap music to Grunge music. What bands or groups do you introduce them to? The Lunch Break hosts, Art Eddy and Jon Finkel bring on Lunch Break loyal viewer, Shawn Kingbird on to talk about this topic. Check out what some of our viewers said. Matt Joyce · In the womb. As long as the lyric content is ok but 9/10 the radio is kid friendly. Frank Hunden · Since birth; the oldies, funk, queen, reggae, country ect… I just started to play my 80s/90s rap music and she is turning 12. Savannah Lynn · TwentyOne Pilots are awesome! My girls (8&2) love them also. I don’t have to worry about the lyrics too much.